Every year, the University Ultimate scene climaxes in the big tournament: Uni Outdoor Nationals. 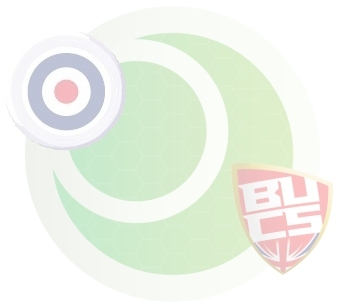 32 teams compete in Open Divisions 1 & 2, and 24 teams compete in the Women’s Division, all vying to win the trophy in their Uni Ultimate career – for many of them it will be their last ever shot at the trophy, for most of them every game will be the most important game of their Ultimate career so far. Push Pass took five cameras to cover Uni Nationals 2013, filming 19 games in total and getting multiple angles on the Open and Women’s Finals, as well as covering both Division 1 and Women’s semi finals, three of the quarter finals from Division 1, and many more do-or-die games from the weekend. For the £10.99 you can buy a subscription to watch all these great games, whenever you like! Alternatively, you can purchase individual games below. 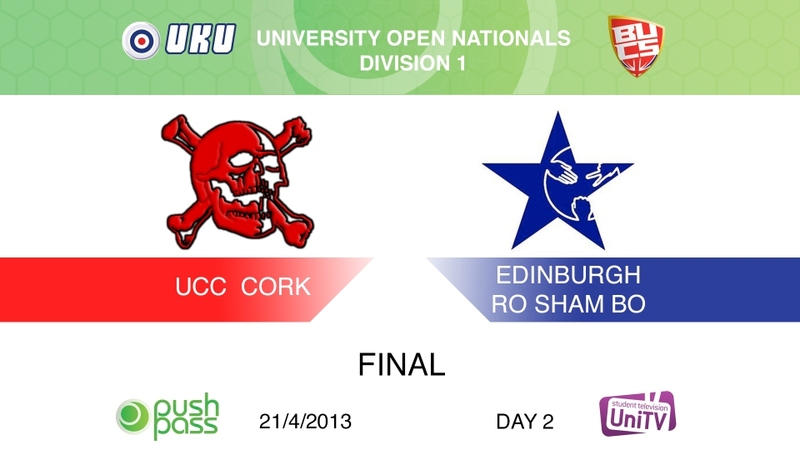 UCC Cork, winners of Irish Uni Nationals, face Edinburgh's Ro Sham Bo - runners-up from Scotland, in the highly anticipated Final of Uni Nationals 2013 to decide who will be crowned UKU Uni Champions 2013! Full footage with multiple camera angles & filmed in HD. 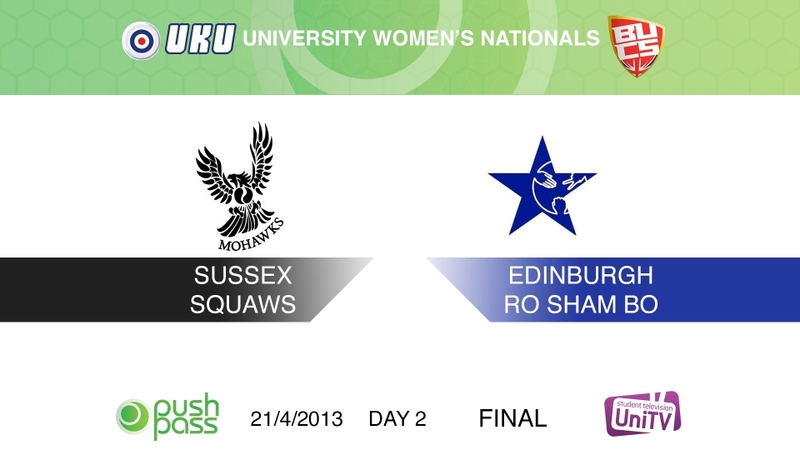 Sussex Squaws, Women's champions from 2011 & 2012, face Edinburgh's Ro Sham Bo, in the Final of Uni Women's Nationals 2013 to decide who will be crowned UKU Uni Women's Champions 2013! Full footage with multiple camera angles & filmed in HD. 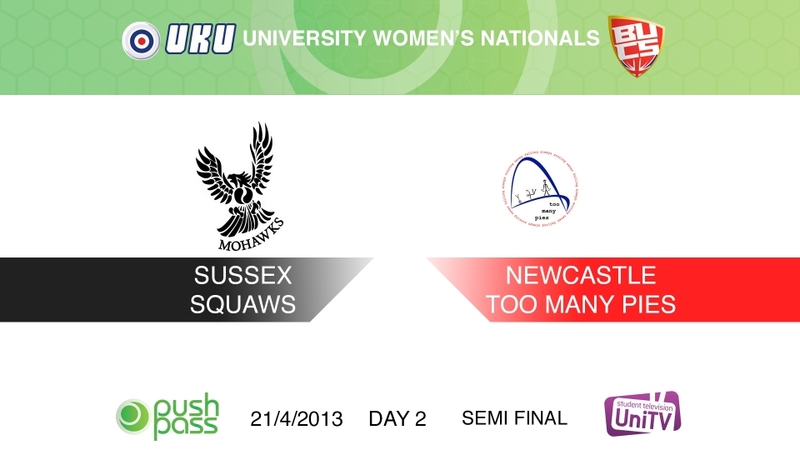 Current champions Sussex Squaws face Newcastle's Too Many Pies, in this Women's Semi Final to decide which team will advance to the Final of Uni Women's Nationals 2013! Full footage & filmed in HD. UCC Cork, winners of Irish Uni Nationals, face Birmingham UBU - runners-up from the Midlands, in this Semi Final to decide which team will advance to the Final of Uni Nationals 2013! Full footage with multiple camera angles & filmed in HD. 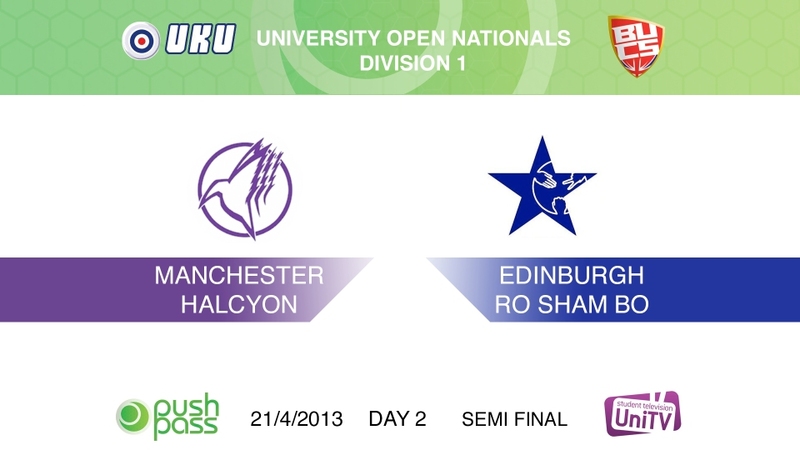 Manchester's Halcyon, winners of Northern Regionals, face Edinburgh Ro Sham Bo - runners-up from Scotland, in this Semi Final to decide which team will advance to the Final of Uni Nationals 2013! Full footage with multiple camera angles & filmed in HD. 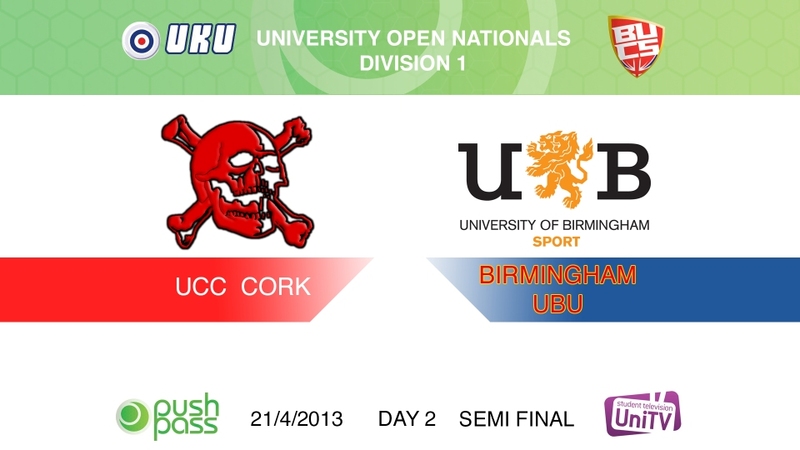 Sussex Mohawks face Irish Champions UCC Cork, in this highly anticipated rematch of the 2012 final, this time in the Quarter Final stages at Uni Nationals 2013! Full footage & filmed in HD. Manchester's Halcyon, winners of Northern Regionals, face Southampton Skunks - runners-up in the West, in this exciting Quarter Final to decide which team will advance to the semi finals! Full footage with multiple camera angles & filmed in HD. Dundee Stars, regional champions from Scotland, face Edinburgh - runners-up also from Scotland, in with regional rematch quarter final to decide who advances to the semi finals at Uni Nationals 2013! Full footage with multiple camera angles & filmed in 720x576 resolution. Sussex Mohawks 1, winners of South-East regionals, play Bath, winners of Western regionals, in a crossover game to decide which regional champion will earn a spot in the quarter finals, and which will be relegated to the bottom 8! Full footage & filmed in HD. Birmingham UBU, runners-up from the Midlands, face Cardiff (3rd place finishers from the West) in this crossover game from Uni Nationals 2013 to decide which of the two teams will get into the top 8. Full footage & filmed in 720x576 resolution. 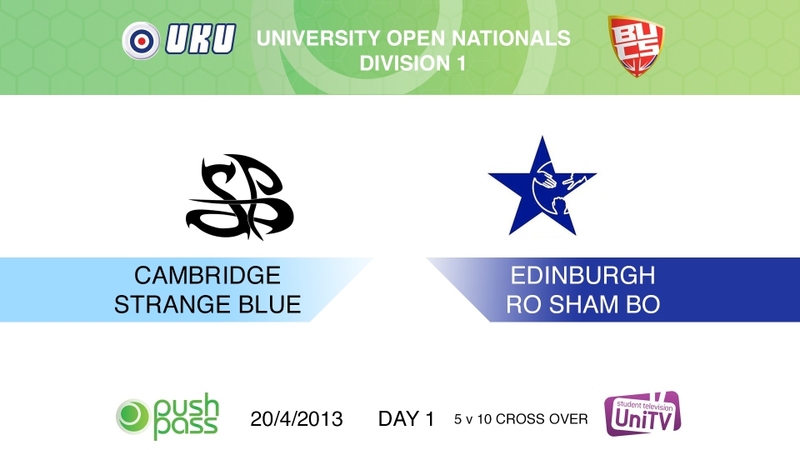 Cambridge's Strange Blue, winners from the Midlands regionals, face Edinburgh's Ro Sham Bo - runners-up from Scotland - in this crossover game from Uni Nationals 2013 to decide which team will earn a spot in the quarter finals. Full footage & filmed in HD! UCC Cork, top qualifiers from Ireland, face Cardiff No Frills in this Group B game from Uni Nationals 2013. Full footage & filmed in 720x576 resolution. Team Surrey, runners up in the South-East region, face Positive Mojo from Aberdeen - 3rd finishers in Scotland - in this Group B game from Uni Nationals 2013. Full footage & filmed in HD! 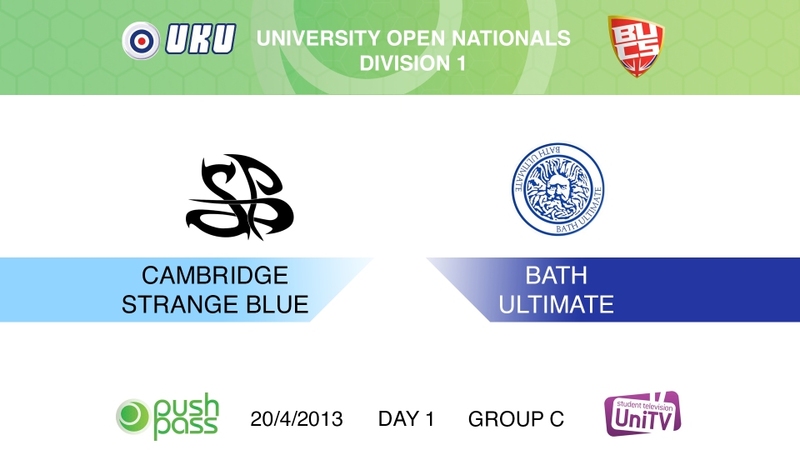 Bath v Cambridge Strange Blue in this Group C game from Uni Nationals 2013. Full footage & filmed in 720x576 resolution. Sussex Mohawks 2 v Sheffield Phat 'Eds in this Group C game from Uni Nationals 2013. Full footage & filmed in HD! 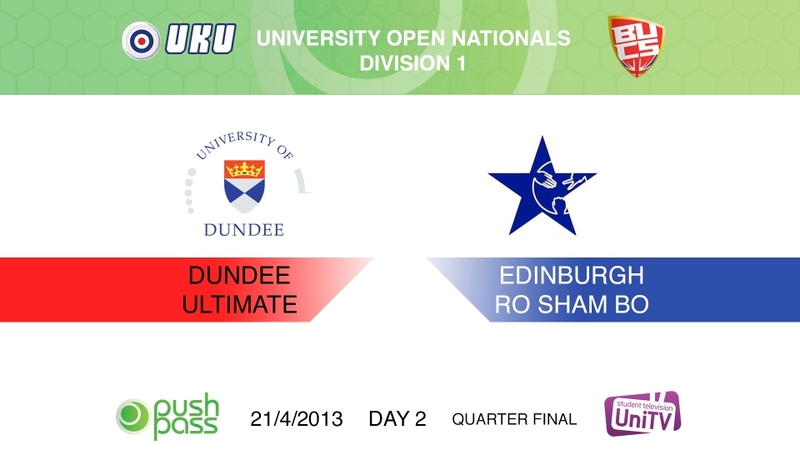 Dundee Stars v Durham UF in this Group D game from Uni Nationals 2013. Full footage & filmed in 720x576 resolution. 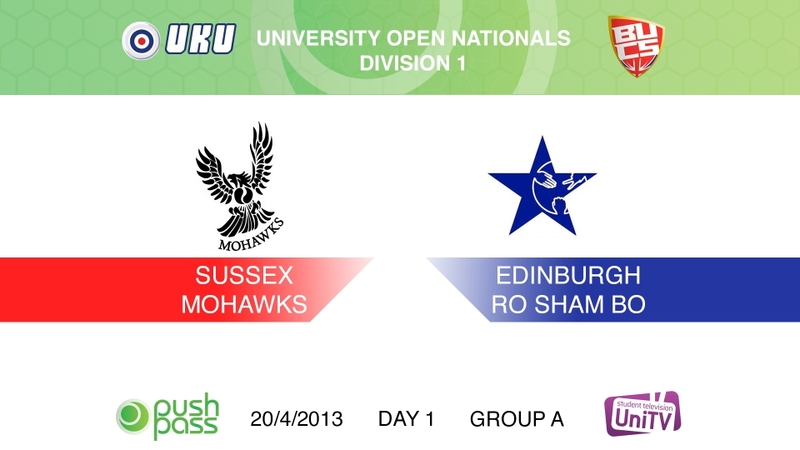 20111 & 2012's champions Sussex Mohawks face Edinburgh's Ro Sham Bo (also champions in previous years) in this Group A game from Uni Nationals 2013. Full footage filmed in 720x576 resolution.